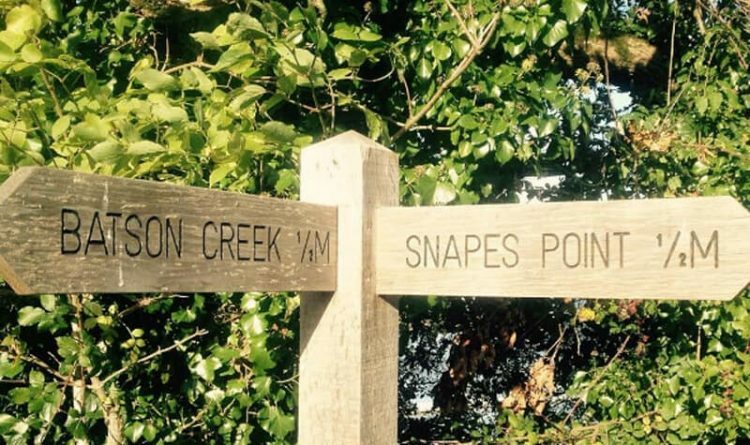 Fancy walking from Salcombe to the beautiful Snapes Point? Download our FREE walking guide here and escape the hustle bustle of the town. Dior, Gucci, Chanel….you probably won’t find any of these in Salcombe (and secretly we are quite pleased about that!) Yet still, this charming coastal town is immensely popular, bringing a mass of visitors each year who come to experience the wonders of this area first-hand. As a result, it can get pretty busy around here! This is fantastic news for those who enjoy meeting new people and socialising, but there may be times when you feel like escaping the hustle and bustle of Salcombe and venturing into the surrounding wilderness. If you are looking for some peace and quiet, why not head out for a tranquil stroll? Uncover some of the secret views and hidden gems of South Devon and embark on a walk from Salcombe to Snapes Point – from soft hill peaks to sunlit creeks, this route is certainly a feast for the eyes. The epic scenery makes this route a fantastic choice. The walk itself is beautiful, but the views at the end are truly spectacular. Even the Independent highlights it as their Walk of the Month! The whole journey is around 4.5 miles and the terrain is fairly easy going making it suitable for all ages. It starts from Shadycombe car park, but you can always drive up to Snapes car park, where the walk is about 2.75 miles to complete. It’s a straightforward route that takes you round winding paths, keeping you close to the stunning Devonshire coastline. However, there are a few scenic surprises along the way! Snapes Point juts out directly onto Kingsbridge Estuary, and provides suitable trails for all ages and abilities. The Point itself is wheelchair and pushchair accessible; however, take note that aspects of our our walking route are not. Here, you will find stunning views of the estuary below, or beautiful rare birdlife – including cirl bunting, blackcap and chiffchaff. Did you know that once upon a time there was a proposed train line extension from Kingsbridge to Snapes Point that was never constructed? Get our Snapes Point Walking Guide! For further information about this wonderful route, signup and download Salcombe Finest’s Walking Guide for free!